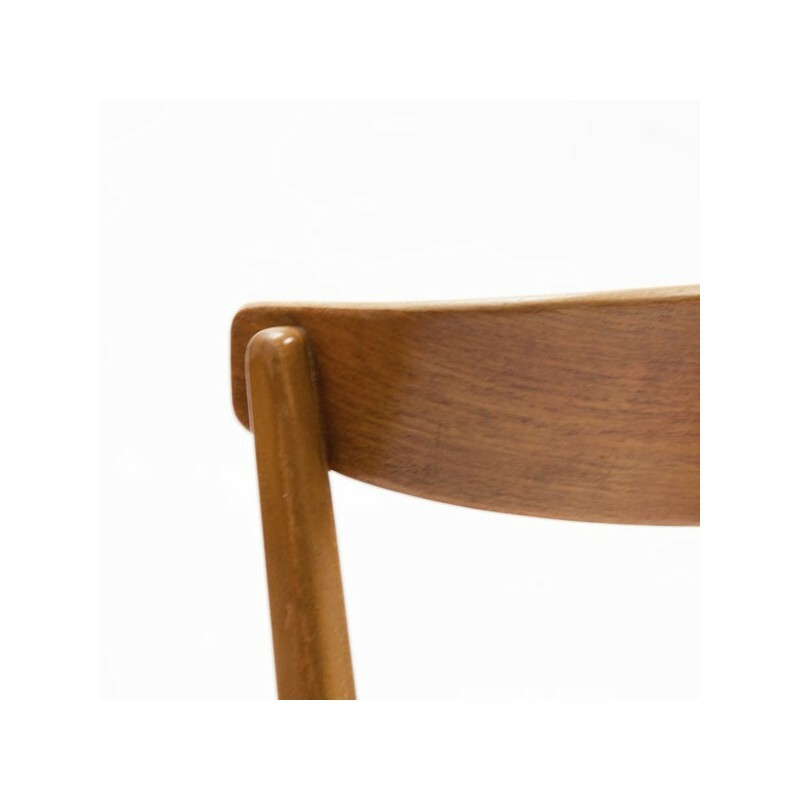 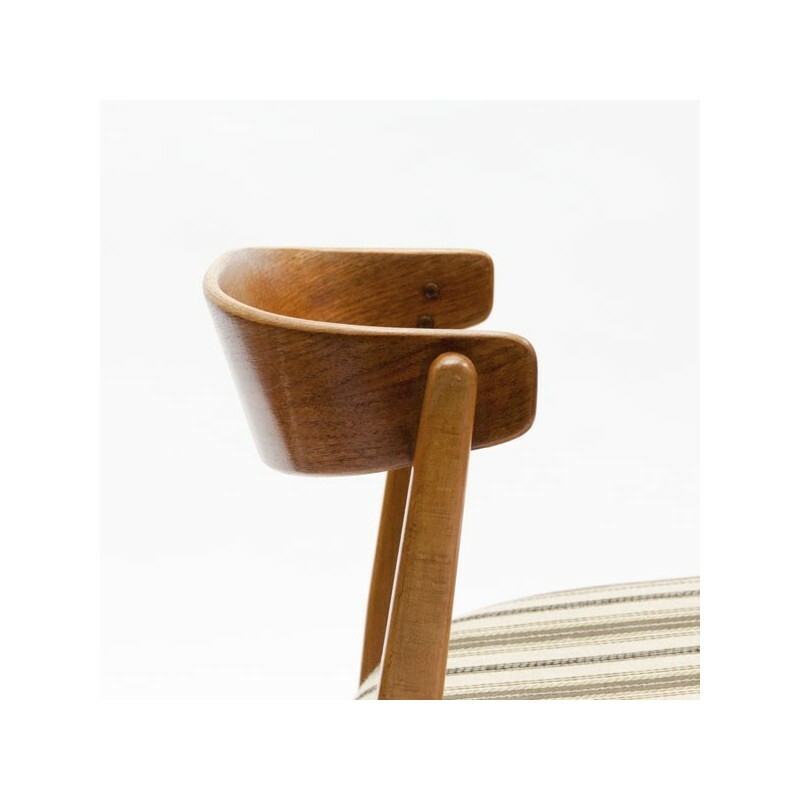 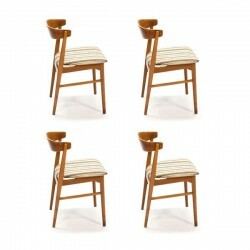 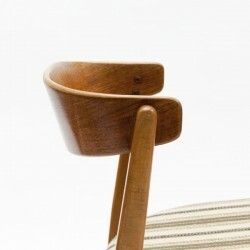 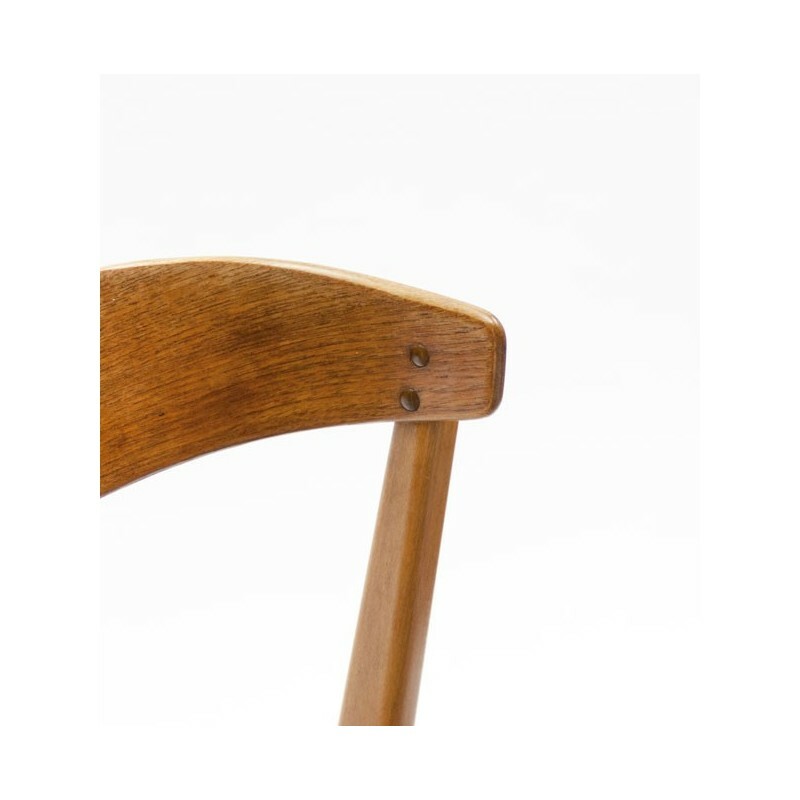 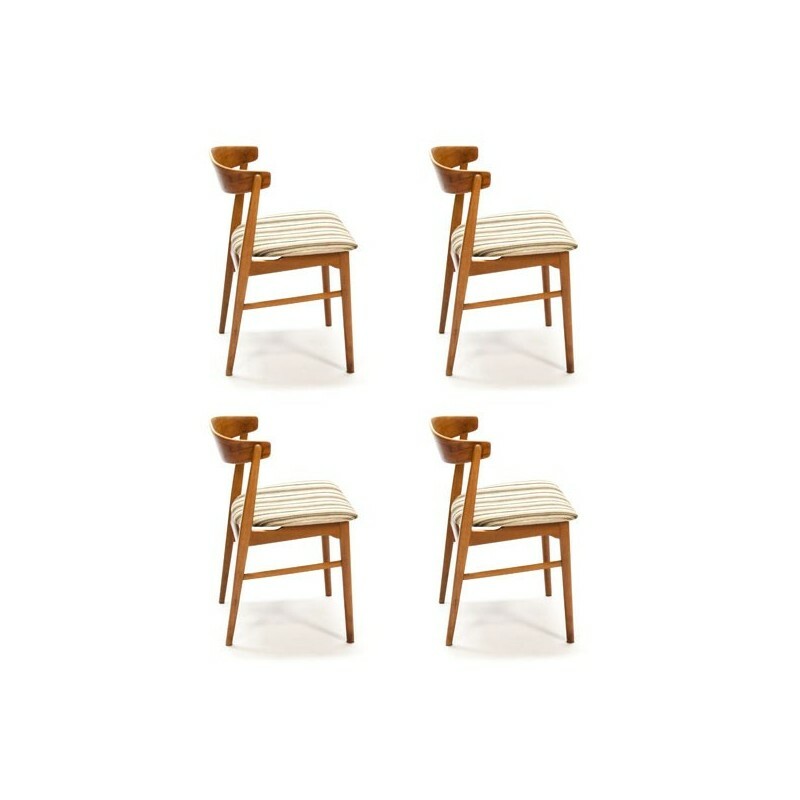 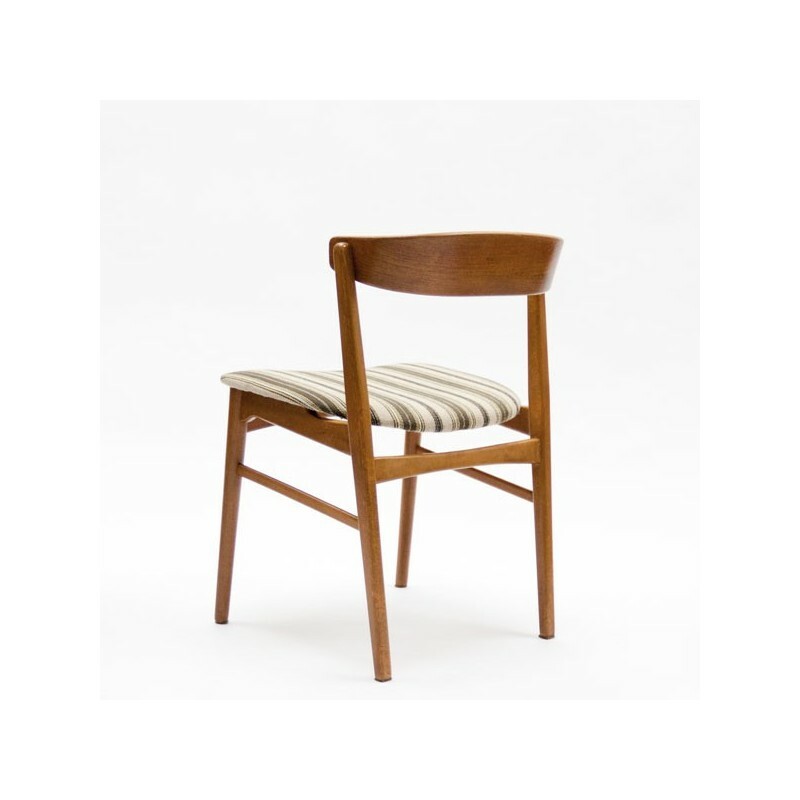 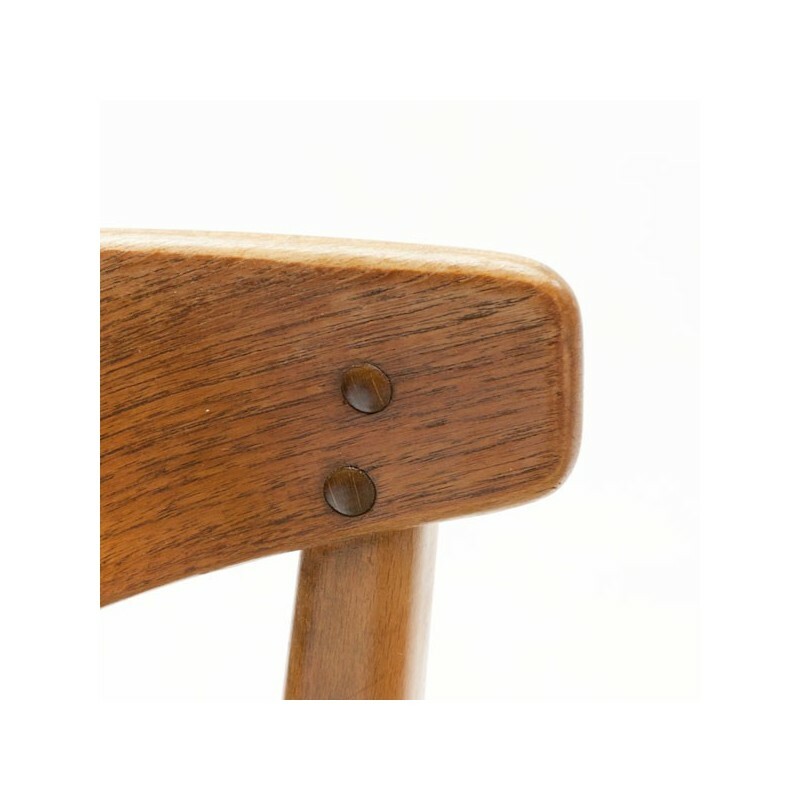 Set of 4 vintage chairs made ​​of teak with a beautiful curved plywood backrest. 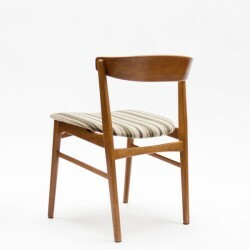 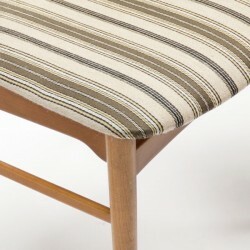 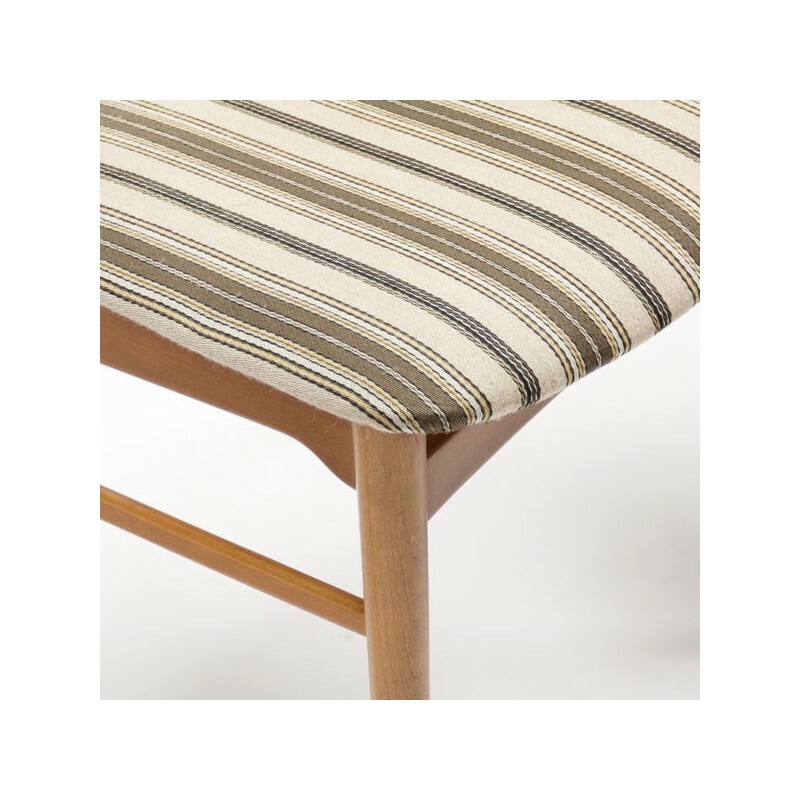 The seats are upholstered in theoriginal Danish upholstery (in a good condition). 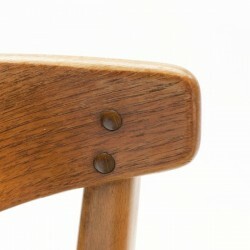 The condition of the seats is good considering the age, seethe detail photos. 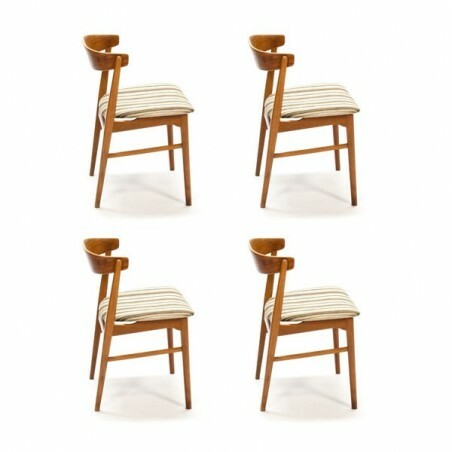 The size is 73 cm H / 45 cm SH / 49 cm W.